Isn't it funny all of the little bits and pieces you collect on a road trip...everything from bottle caps, sea shells collected on the beach, sand saved in tiny bottles to the tacky tourist offerings like plastic hula dolls, pink rubber flamingos and the ever popular key chains. 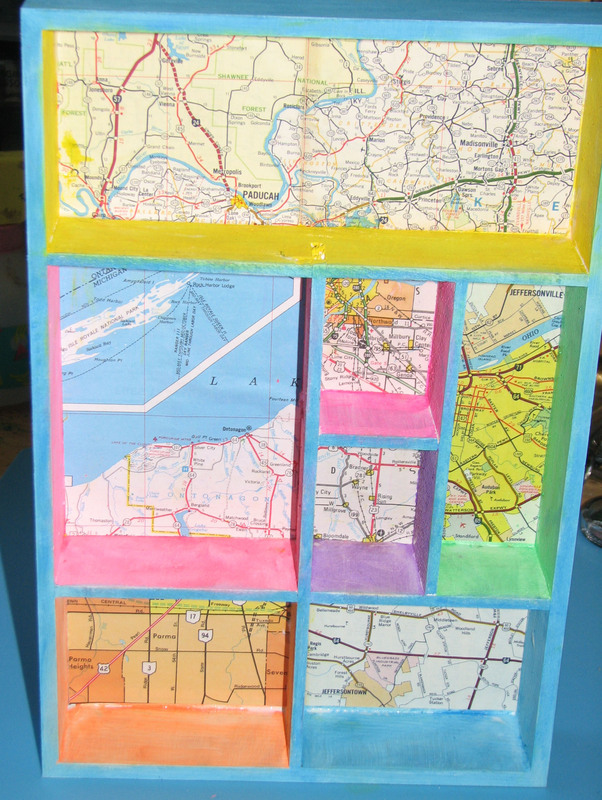 Well this kitschy shadow box is just the ticket to save all those funky bits in one place. 1. 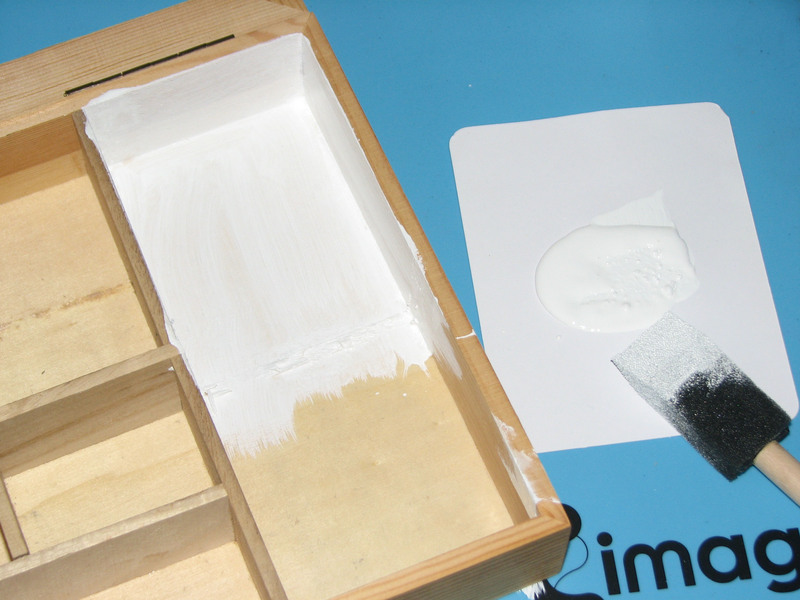 Apply a coat of gesso to your chosen shadow box and let dry. 2. 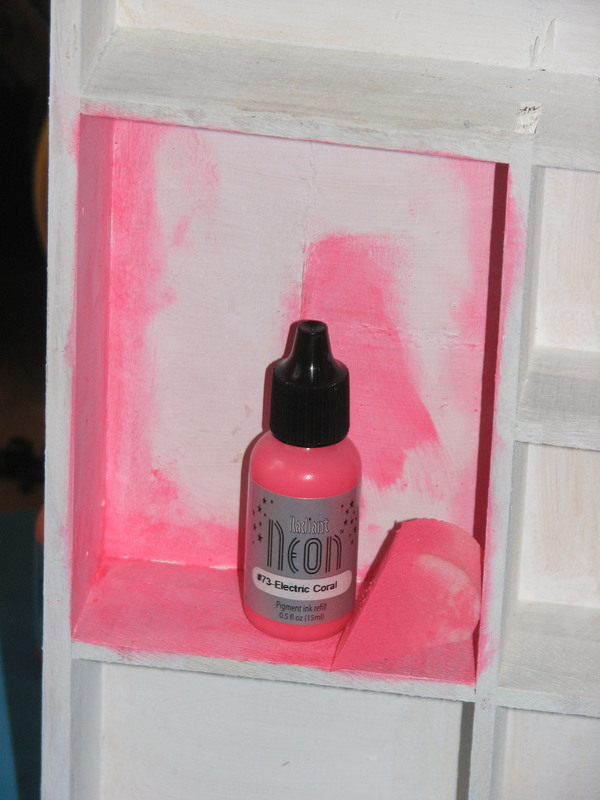 Squeeze a bit of Radiant Neon Coral Inker onto an Ink Blusher sponge and dab around the walls of one of the cells. 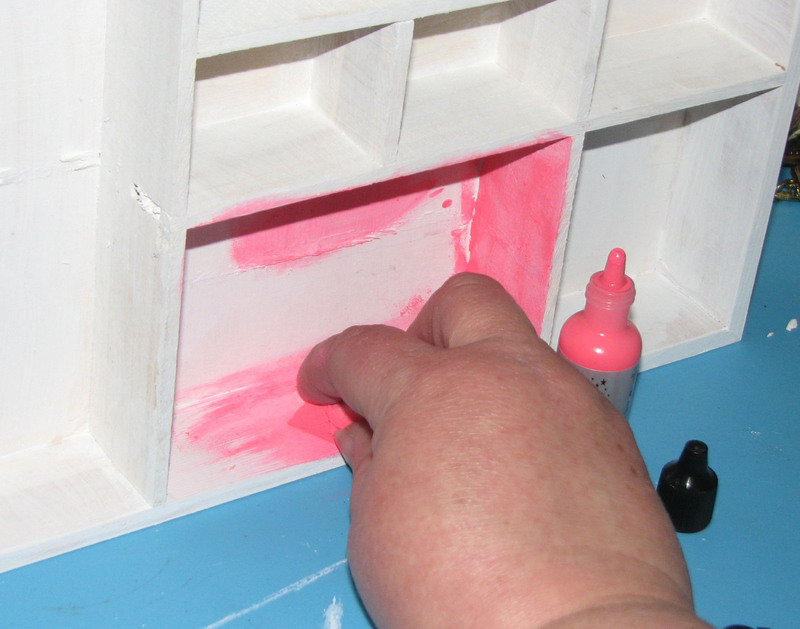 Push the Ink Blusher into the corners to be sure and ink every nook and cranny. 3. 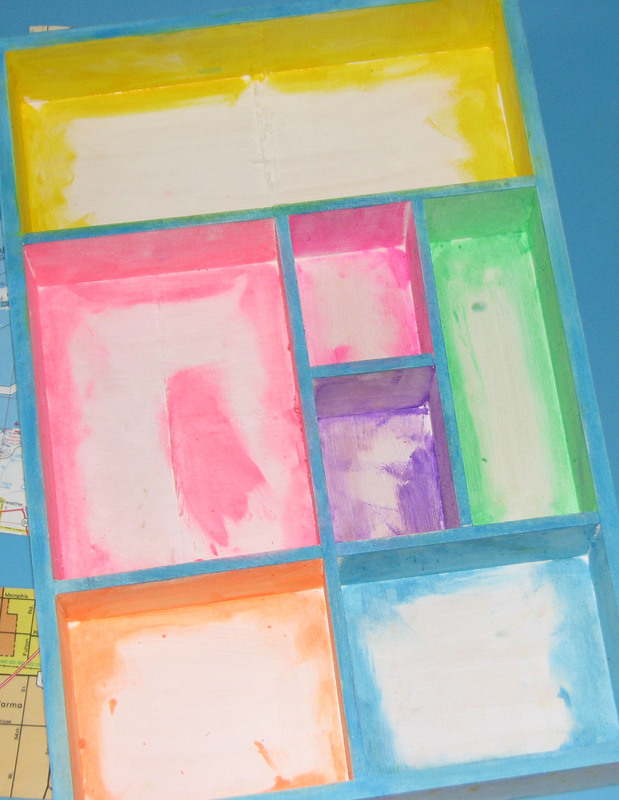 Ink each of the remaining cells of the shadow box with a different color of Radiant Neon ink until all of the cells have been colored. 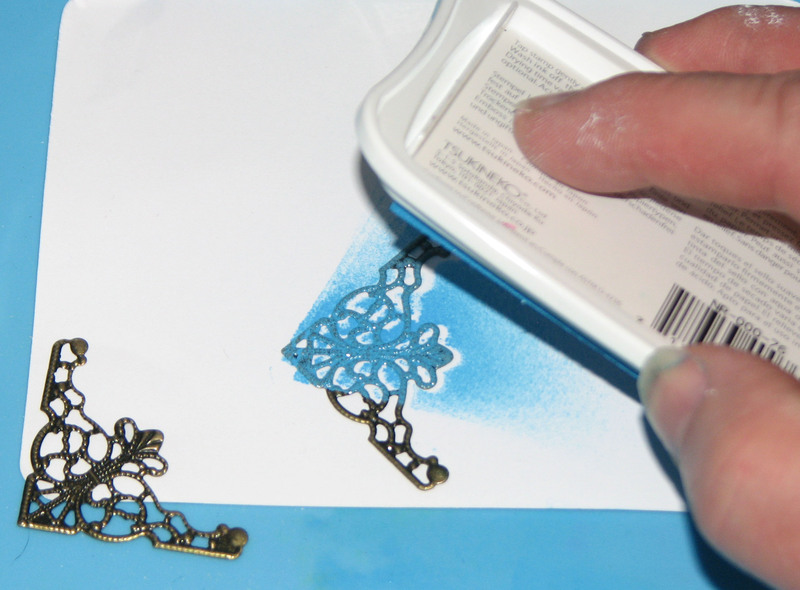 Set aside to dry or speed drying using a heat tool. 4. 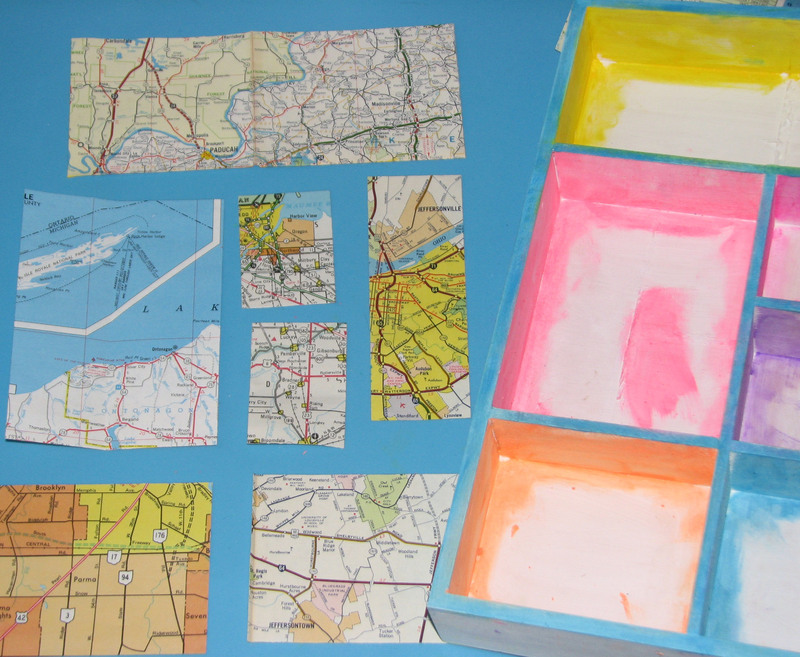 Measure and cut map pieces to fit into each cell and glue into place. 5. 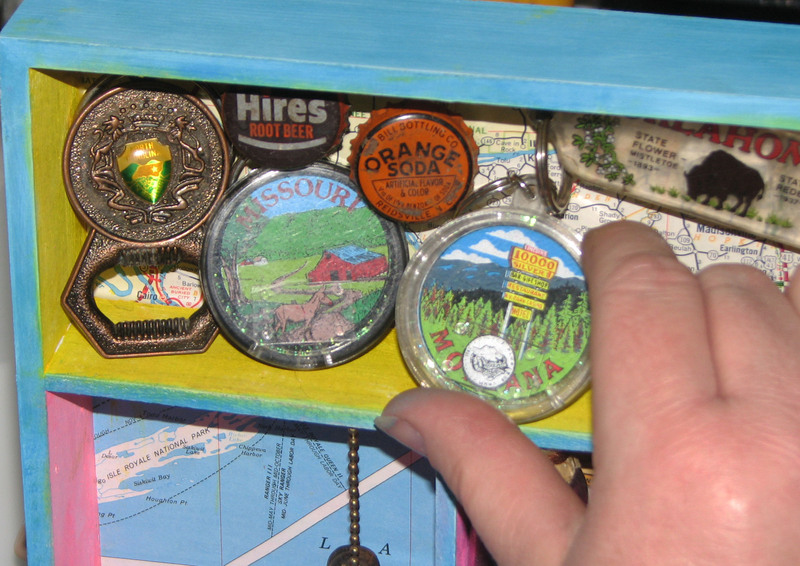 Insert the treasures from your journeys into the various spaces of the shadow box. 6. Dab Radiant Neon Blue ink on metal filagree corner pieces and heat to dry the ink then glue one in each of the outside corners of the shadow box. 7. Glue Scrabble Tile title to the top.